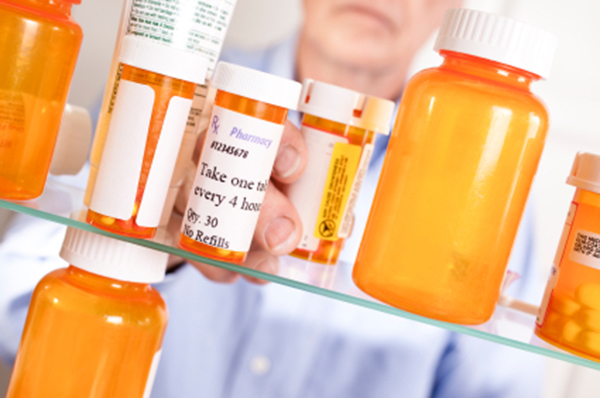 Harmful side effects from prescription medications—called adverse drug events (ADEs)—are driving increasing numbers of older adults to the emergency department, according to a study published Nov. 22, 2016, in The Journal of the American Medical Association. Researchers assessed data from 58 emergency departments surveyed in 2013 and 2014. After excluding ADEs due to causes such as drug withdrawal, recreational drug use, and treatments received in the emergency department, researchers identified more than 42,000 visits because of ADEs. Adults ages 65 years or older made up 35% of the cases—up from 26% in 2005 and 2006. The medications that caused most of the ADEs in older adults included blood thinners, such as warfarin (Coumadin) and clopidogrel (Plavix); diabetes treatments, such as insulin and metformin (Glucophage); and aspirin. Why so many ADEs? Study authors point to complicated drug regimens, medication errors, and inappropriate prescriptions. It's a good reminder to take medicine only as directed and to ask your doctor about potentially dangerous side effects.